That’s the power of wind. This eyewitness was describing how Hurricane Luis ripped through the Caribbean island of St. Martin in 1995. But he could have been describing any big storm. 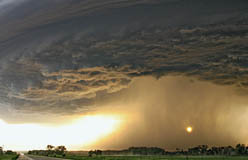 About 85 or so hurricane-like storms form worldwide in an average year. 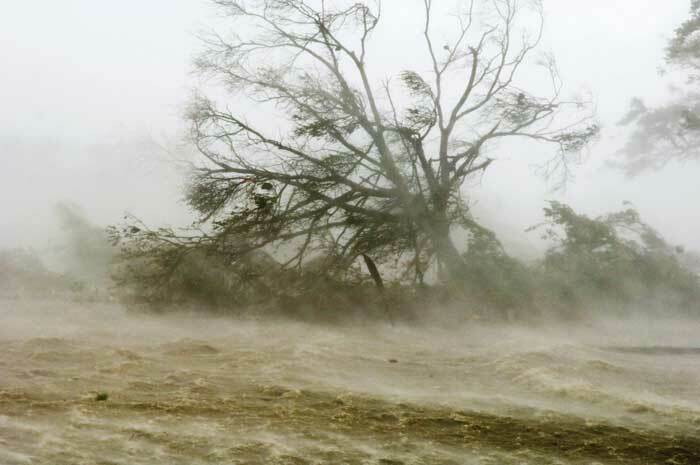 Hurricanes and other wind-driven storms, like tornadoes, are some of nature’s most destructive events. ◀ Hurricanes are big storms in the Atlantic and Northeast Pacific Oceans. Similar storms in the Northwest Pacific are called typhoons. 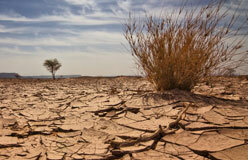 In the South Pacific and Indian Oceans, they’re called cyclones. Scientists identify all of these events as tropical cyclones, because they form in warm tropical waters near the equator. Each is made up of tightly coiled bands of clouds. Those bands spin around an almost totally calm center, called the eye. ▲ In October 2012, after damaging the Caribbean, Hurricane Sandy made landfall on the East Coast of the U.S. It caused about $60 million in damage. At its peak, the storm was 1,000 miles wide. More than 100 people in 10 states died. 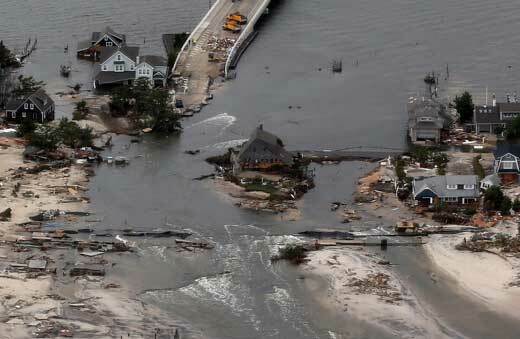 In coastal New York and New Jersey, the storm destroyed entire communities. ▲ Flying debris isn’t the only wind-driven problem in a hurricane. High winds also push ocean water ashore. This creates a storm surge. That massive wave is the deadliest part of any hurricane. 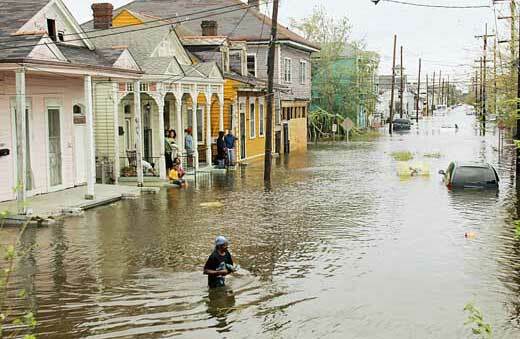 Hurricane Katrina’s storm surge in 2005 reached at least 30 feet high, a record for the U.S. coastline. 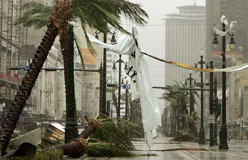 The mixture of heavy rain, wind, and storm surge overwhelmed the levees that had been built to keep New Orleans dry. The low-lying city flooded, and thousands were stranded. Why are hurricanes given people’s names, such as Dennis and Katrina? During World War II, U.S. military pilots tracked hurricanes. The first one to spot a storm got to name it. Most used the names of their wives or children. In 1953, weather forecasters picked up the system of naming storms. At first, they used only female names, but in 1979, they began using both male and female names. 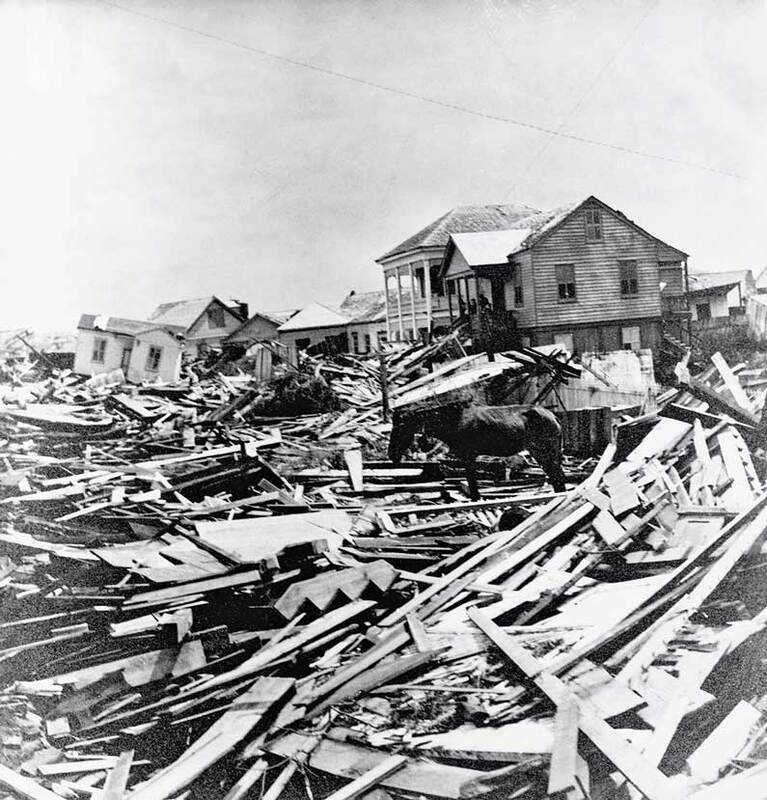 ◀ In 1900, Galveston, Texas, endured the deadliest of all U.S. natural disasters. At least 8,000 people died in the hurricane. Most died because of severe flooding. Tropical storms are hurricanes in the making. 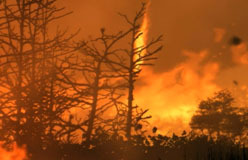 Their winds are between 39 and 73 miles per hour. If winds reach 74 mph, scientists use the Saffir-Simpson Scale to measure how strong a hurricane is. 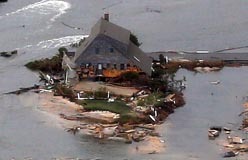 Storm Surge: Over 18 ft.